It’s all too easy for a storytelling contrivance to become a crutch. Lost discovered this during season three, when its unique formula of narrative infused with individual characters’ histories told in flashback started to become a burden rather than a boon. (It’s no coincidence this lapse in quality occurred during the showrunners’ negotiations with ABC over how long the series would run, meaning the story was stuck in a kind of creative limbo at the time, symbolically represented by a chunk of its cast literally spending the first part of the season trapped in cages.) By the season finale, it made the bold and satisfying choice to flip the script, delivering flash-forwards in time instead of backwards. It used this convention until the last season transitioned to the polarizing tactic of splitting the narrative in half, telling one story on the island, and the other in the elsewhere of Purgatory, encompassing everyone in the cast but satisfying almost nobody in the audience. But even if the good-vs.-evil machinations of season six ultimately enraged you, during those final months the show repeatedly proved itself capable of the kind of powerhouse storytelling that earned it all that attention in the first place. “Ab Aeterno” tells the origin story of Richard Alpert (Nestor Carbonell), the immortal 150-plus-year-old man who served for more than a century as the right hand of benevolent island guardian Jacob. We knew something otherworldly had happened from witnessing the apparently ageless Alpert running around in different time periods, looking none the worse for wear, and this episode devotes nearly its entire running time to how he got to the island in the first place, and what earned him that immortality. Turns out Richard—back when he was still “Ricardo” and living on the Canary Islands—had accidentally killed a man while trying to secure medicine for his ailing wife, only to have her die anyway, with him sold into slavery and shipped off to the New World for his troubles. 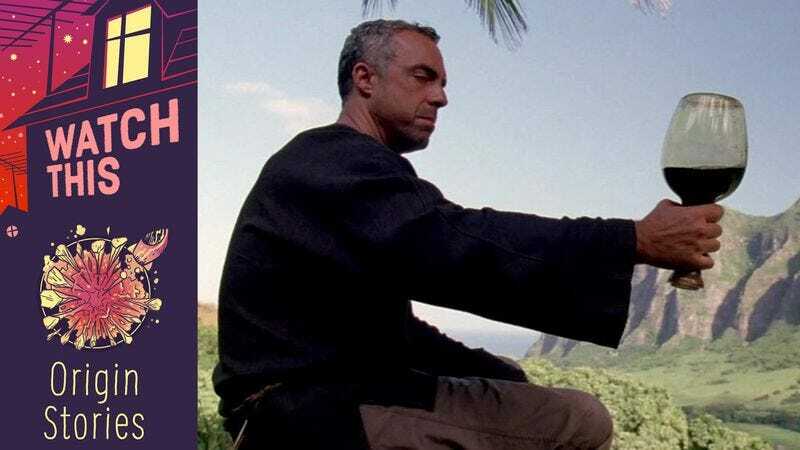 Instead, his vessel ends up crash-landing on the island, where the malevolent Man In Black (Titus Welliver) tries to convince him that killing Jacob will allow Richard to be reunited with his wife. Luckily for him (and us), Jacob stays his hand, and recruits Richard to his cause of trying to prevent the Man In Black from escaping the island, explaining that it functions as a “cork” keeping evil from seeping out into the world. The climax returns us to the present-day island, where Richard—whose faith in goodness and Jacob has been shattered—attempts to again make a deal with the sentient smoke monster, only to have the spirit of his dead wife return just long enough to stay his hand, and talk him back onto the side of the angels. What cements this as one of the great Lost episodes is the way it tells a beautifully contained story while also making it work as an allegory for the thematic nature of the series as a whole. The show had a lot of fun mucking about with various genres over the years, and “Ab Aeterno” delivers a swashbuckling Victorian tragedy, with outsize emotions of love and loss anchored and translated into painfully relatable existence by Carbonell’s performance. It’s no wonder another operatic tragedy, A&E’s increasingly great Bates Motel, snapped the actor up after seeing his work here. Whether chained below decks on the Black Rock or uncertainly wielding a knife, the haunted expression on his face testifies to the manner in which grief can run roughshod over our identities, punishing us in ways we don’t even realize are happening. And in the telling, Lost gave us a pained counterpoint to the love story of Desmond and Penny, a tale of romantic misfortune that argues for letting the sadness of loss push us toward a positive place. The people we lose want us to be our better selves, not our lesser demons—and Lost, in recounting the origin of one of its most mysterious island denizens, again found its best self. Availability: “Ab Aeterno” and the entire run of Lost is available for streaming on Netflix, on DVD, and for digital purchase.